Make your little one an all star with this twin bed that looks like a soccer goal. 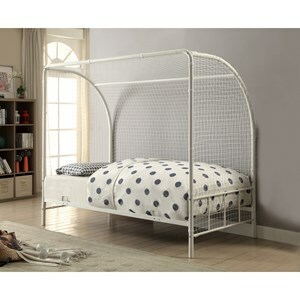 The twin bed is sturdily constructed with steel metal tubes forming the goal posts. A matching net completes the soccer goal themed bed. 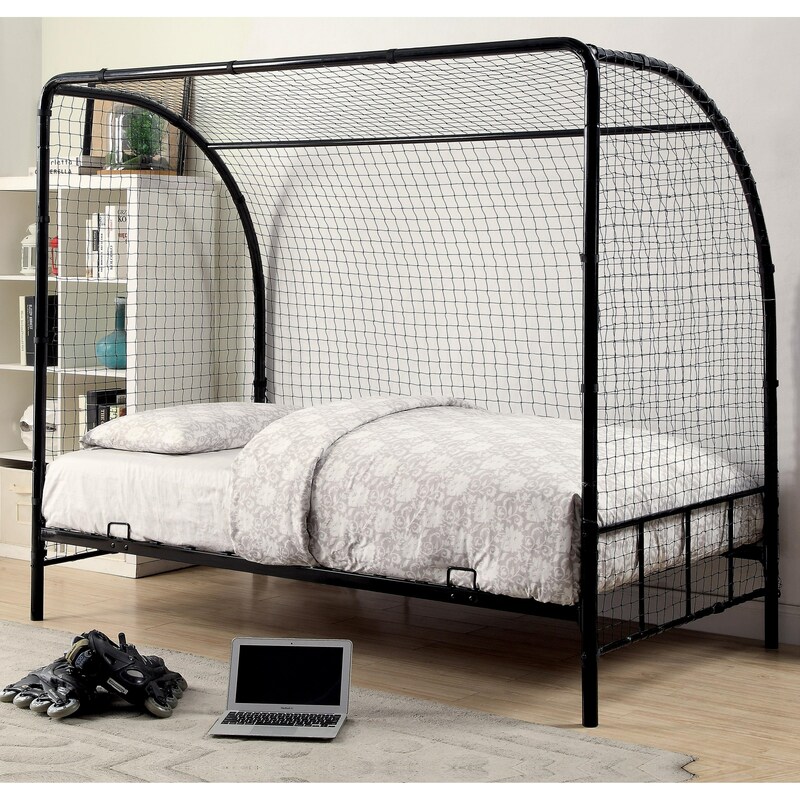 The Youth Beds Twin Soccer Goal Bed by Coaster at Value City Furniture in the New Jersey, NJ, Staten Island, Hoboken area. Product availability may vary. Contact us for the most current availability on this product.